Being legally dead is causing Razi some problems, and xer only chance of escape from bureaucratic limbo will involve a dangerous trek through wolfcat territory. Meanwhile, Halvanylila is supposed to be learning to hunt and fight, but it’s hard to concentrate when there are fascinating plants to be scienced at. Now they’re both lost in the middle of nowhere, and they’ll need each other’s help and unique expertise to find their way out. Dylan Edwards is one of the newest members of Out in Colorado. 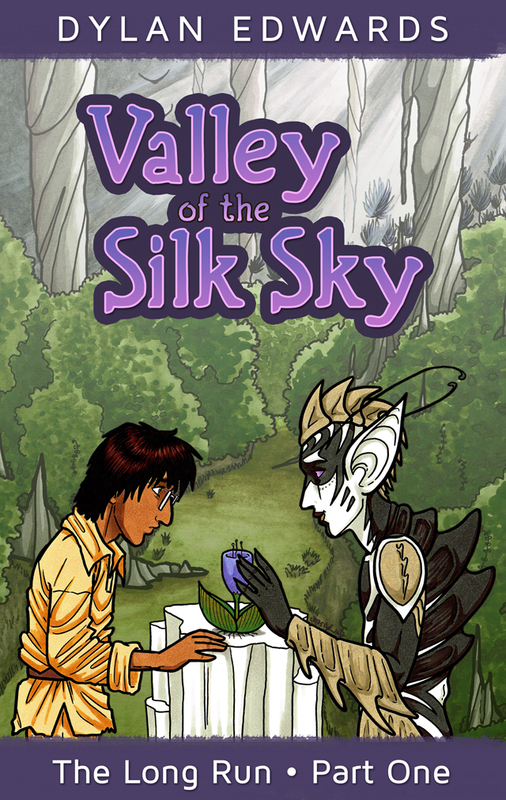 His YA scifi graphic novel Valley of the Silk Sky features several different alphabet soup letters, including nonbinary gender, asexual, trans, and queer. Valley of the Silk Sky has been nominated for a DINKy Award for Outstanding Work from Colorado. The winners will be announced on March 26.